Top Floor Corner Unit! For those looking to maximize their privacy consider unit #245 which is located on the top floor and has a corner location, additionally there is a privacy door on the entry way that leads to your front door. This is your island home where you can truly get away from it all. This one bedroom one bath can sleep four and has lovely views of the lawn and even a peak of the ocean. 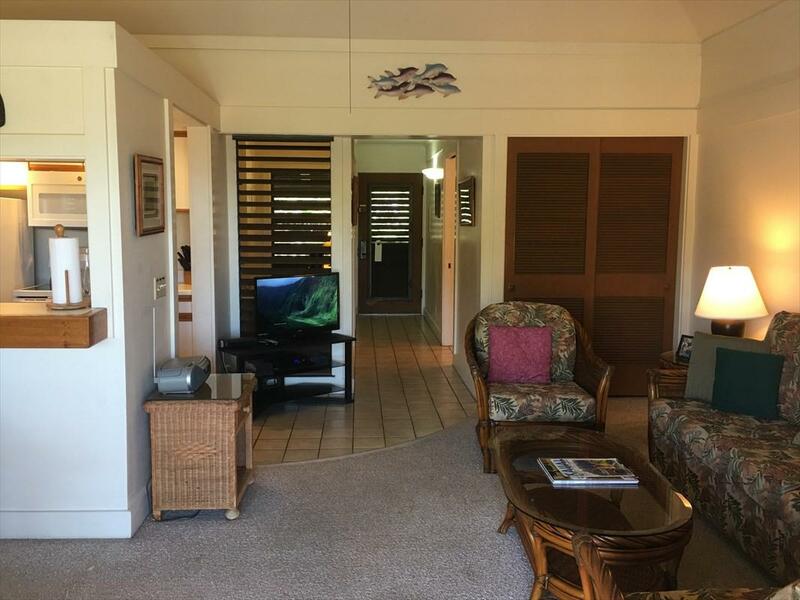 Enjoy meals in the dining area or on the spacious lanai. 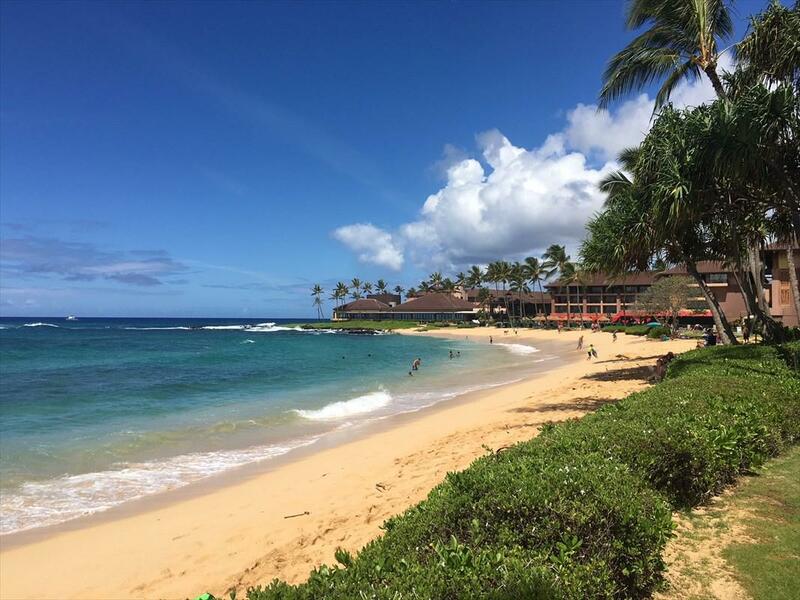 You are just steps away from the beach that the Kiahuna Plantation is located on and the onsite restaurant.The Kiahuna Plantation is the only resort in Poipu Beach that is located on a swimming beach. 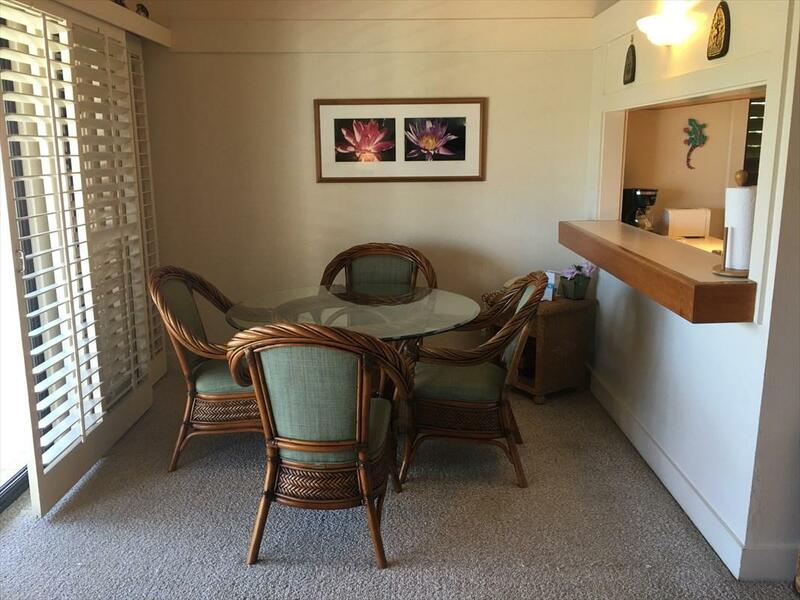 Amenities include: membership to the Poipu Beach Athletic Club which has two work out rooms, a pool with a water slide and a shallow sand area for children, restaurant and tennis/pickleball courts. 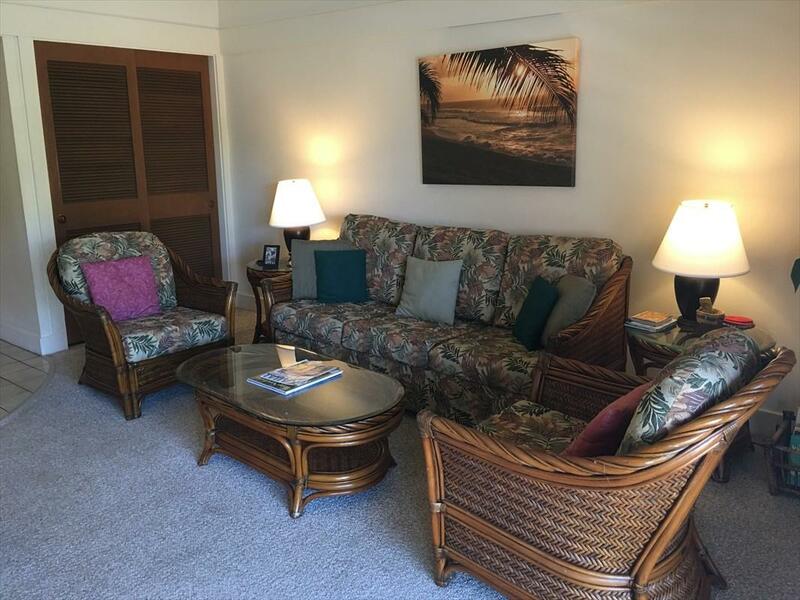 There are complimentary beach/pool towels and chairs, 24 hour security, free parking and on site rental companies.Showings are subject to availability so plan ahead to see this one!